Ok, so we all know it’s the home of the iconic Indy 500, but Indianapolis has plenty more to offer besides high octane thrills on the race track. The past few years have seen it shake off its small-town image to become one of the Midwest’s most appealing destinations, complete with eye-catching museums, quirky shopping stops and picturesque natural spots to explore. If you really want to get a feel for downtown Indy, make a beeline for Massachusetts Avenue. Known for its independent, eclectic boutiques, ‘Mass Ave’ is the perfect place to explore if you prefer your shopping experiences to unfold in quirky, characterful surroundings. Behind the retro frontage of Stout’s you’ll discover the nation’s oldest shoe store, while the self-proclaimed Best Chocolate in Town can be found further down the street – its tempting truffles adding some serious weight to that lofty boast. Mass Ave is also known as the Arts and Theatre District, giving it a fun, free-spirited feel. 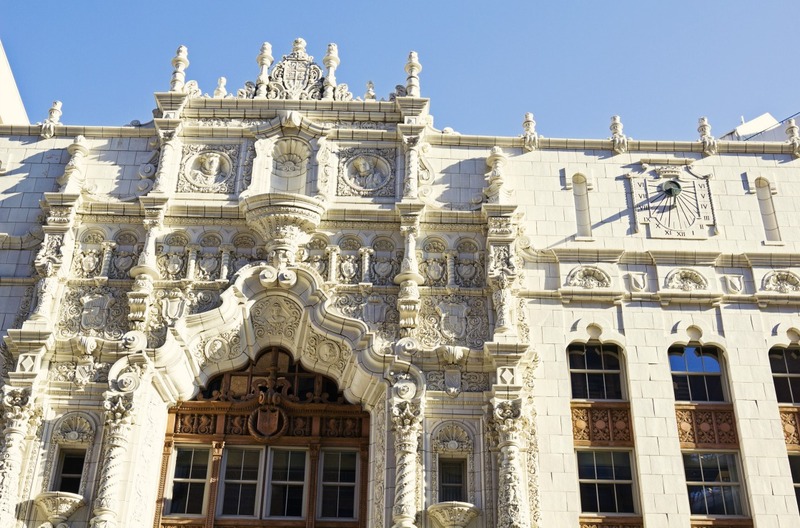 No fewer than five theatres call it home, while its liberal sprinkling of galleries offer top-notch art to admire. You’ll also find a clutch of independent restaurants serving up some of the best eats in town – head to Bru Burger for gourmet burgers, while Bakersfield offers a deliciously quirky modern take on all things Mexican. Looking for the perfect place for young, enquiring minds? Indianapolis is home to the largest children's museum in the world. Over 120,000 artefacts and specimens – from Samurai suits of armour and Ice Age animal bones to items charting two centuries of American history – are packed inside The Children’s Museum, helping to bring the past, present and future bursting to inspirational life. Young visitors can explore the physical and natural sciences, history, world cultures and the arts through exciting interactive exhibits across five floors. There's also a theatre offering children's plays and live entertainment that’s guaranteed to have them hooked. Ok, so here’s the obvious one. Indianapolis calls itself the racing capital of the world and you’d be hard pushed to argue – especially when it boasts the sport’s largest venue. The Motor Speedway (housed in the suburb of Speedway, no less) packs in upwards of an astonishing quarter of a million race fans a time, hosting events dotted through the year. The big one, of course, is the world-famous Indy 500 which unfolds over – you guessed it – 500 miles, or 200 laps of the mammoth track. The race takes place on or around Memorial Day, which falls on the last Monday of May, and tickets are hot property. There’s a ballot process for newcomers, but if you score seats you’re in for an experience you won’t forget as the world’s fastest drivers on four wheels flash past at speeds pushing 250mph. From here, a 15-minute drive along the White River Parkway brings you to Victory Field. Home to the Indianapolis Indians, it’s been voted the nation’s best stadium in baseball’s Minor League – a rung below the Majors. If the chance to see some of the sport’s future big hitters doesn’t grab your appetite, the $1 hot dogs on Monday nights sure will. Upwardly mobile Indianapolis has its fair share of great places to eat. If you’re in the mood for some traditional American cuisine, check out Harry & Izzy’s. Brave their St Elmo shrimp cocktail (said to be the spiciest in the world), then feast on a prime cut of 45-day-aged Black Angus beef straight from the upper Midwest plains, teamed with redskin mashed potatoes. If you’re looking to make a night of it, head for drinks and soothing live blues at the Slippery Noodle on Meridian Street. Founded in 1850 as a roadhouse, it’s the oldest continuously operating bar in Indianapolis, having morphed from a one-room lunch counter into the Midwest’s premier blues club. After all that activity, you might want to dial it down a little with a trip to the Indianapolis Museum of Art. The IMA has more than 50,000 works of art and over 150 acres of beautifully designed gardens to explore. Even better, it’s completely free and an easy place to spend a whole day. If you’re looking to liven things up then the Wholesale District packs in pretty much everything you need. The heart of the city’s entertainment district, you’ll find a wide choice of bars and restaurants along with some impressive architecture, including the Indiana State Capitol. 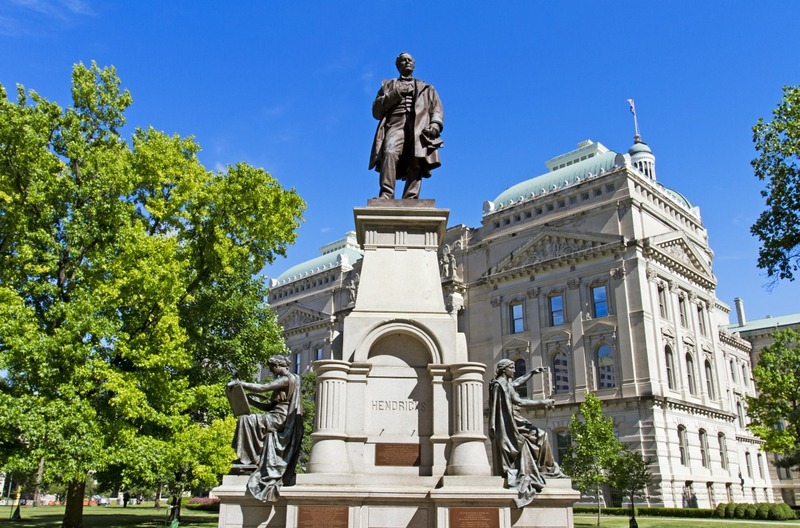 Take a few moments to gaze up at the ornate Soldiers and Sailors Monument – created as a tribute to Hoosier war heroes killed in pre-World War I conflicts, it comes in just 15 feet shorter than the Statue of Liberty. The Wholesale District is also home to the Indianapolis Symphony Orchestra and Lucas Oil Stadium, giving you the choice of an evening of music or the thrill of a Colts game – if you’re visiting during the football season, which runs from September through to the end of December. So, world-beating motor racing may be a given in Indy, but the city has so much more to offer visitors looking for a memorable Midwest visit. Explore it all with Hertz car hire in Indianapolis.